Word Recovery Free is the easiest method of Word recovery that you may find in the WWW. This application provides premium data recovery services that can be applied by all users regardless their computer skills. When Word File data not available or unable to recover lost word document file, donâ€™t worried try Excel Word Recovery Tool to repair lost your corrupted word document (.doc and .docx) file with proficient manner. 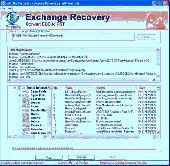 Best Word Recovery is a tool that can be used to recover corrupt Word files. Best Word Recovery is a Tool that can be used to recover corrupt Word files. It is designed to recover and repair corrupted Microsoft Word documents. This advanced document-repair program restores damaged Word files after instances of virus attacks, unexpected system shutdown, or media read error.